Please go to our site to read Best Biopics of All Time - Based on Rankings from 30 Websites (this article). Welcome to our Reel Fives pre-launch movie rankings for the best biopics of all time. Our Reel Fives team found 30 ranked lists of the top biopics published online and ended up with 56 movies that made the list. For each ranked biopics list we have taken the top five biopics. The movie rankings for best biopics we aggregated are included at the bottom of this post and include the best movies in the genre as ranked by movie experts as well as polling sites, such as ranker.com. Biopics focus on the compelling story of one person who made a difference. While the people and their stories are real, films will dramatize some events or omit certain details to create a compelling narrative. Biopics also tend to have corresponding genres based on their plotlines. 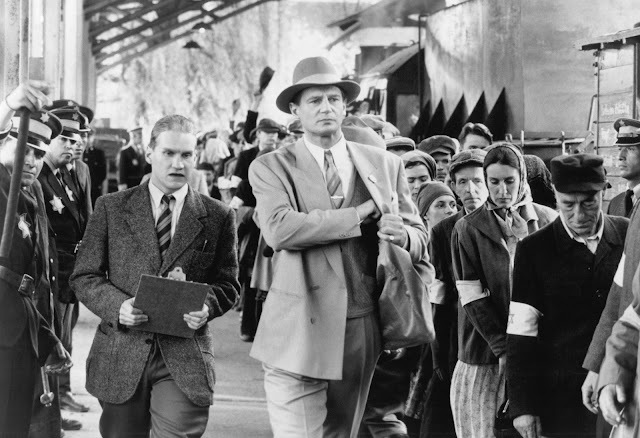 Schindler’s List (1993), the all-time best biopic (also the all-time best historical movie and ranked sixth best war movie), centers on a German business owner that manages to save over 1,000 Jewish lives by hriing during World War II . Though made in 1993, the film is shot in black and white to illustrate the seriousness of genocide. T.E. Lawrence, a British WWI soldier leads Britain to defeat the Ottoman Empire in Lawrence of Arabia (1962), ranked third (also ranked second best historical movie). Gandhi (1982), tied for ninth, shows the non-violence movement he led with the objective of freeing India from British rule. The film follows Gandhi through his earliest years as an activist in South Africa to this activity in India, where he is seen as a hero. Not all biopics focus on war or national heroes. In fact, most biopics simply focus on interesting people. Raging Bull (1980), ranked second (also ranked second best boxing movie), is the true story of Jake La Motta’s boxing career. La Motta (Robert De Niro) must overcome the obstacles outside the boxing ring to defeat his opponents. Eight-time Oscar winning Amadeus (1984), ranked fourth, tells the rise of Wolfgang Amadeus Mozart from the perspective of his rival Antonio Salieri. Mozart’s natural talent outweighs Salieri’s mediocrity and he becomes consumed by proving himself the better man. Salieri seeks to praise God through music, whereas Mozart creates music for the love of music. Mark Zuckerberg changed the world when he created Facebook in his Harvard dorm in The Social Network (2010), ranked sixth. Zuckerberg (Jesse Eisenberg) is portrayed both as selfish and driven. Biopics show all sides of their protagonists and do not always seek to show them in the best light because that is often where plot lines thicken. The rankings show favoritism towards interesting figures, no matter their morality. Biopics can often cross other genres, but share in that they focus on one person’s actions. War is not outright favored, even though the top film centers on WWII. We like that the biopics do not have a central theme because it allows for biopics to tell any compelling story without having to worry about certain criteria.